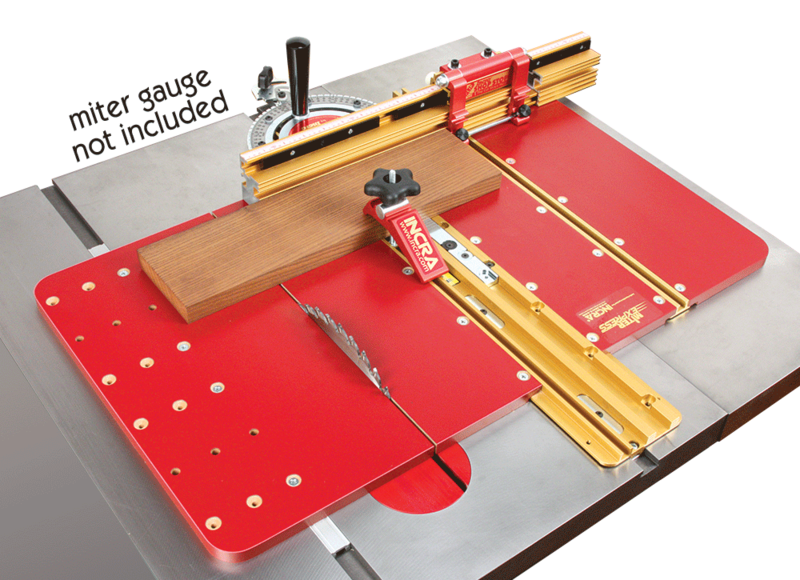 This great accessory offers any mitre gauge owner the safest and most accurate cross-cutting and mitering platform available. 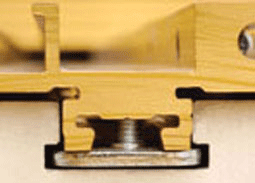 The Express features two embedded T-Slot channels to secure the included Hold Down Clamp and Outboard Fence Support. The Express features two embedded T-Slot channels to secure the included Hold Down Clamp and Outboard Fence Support. 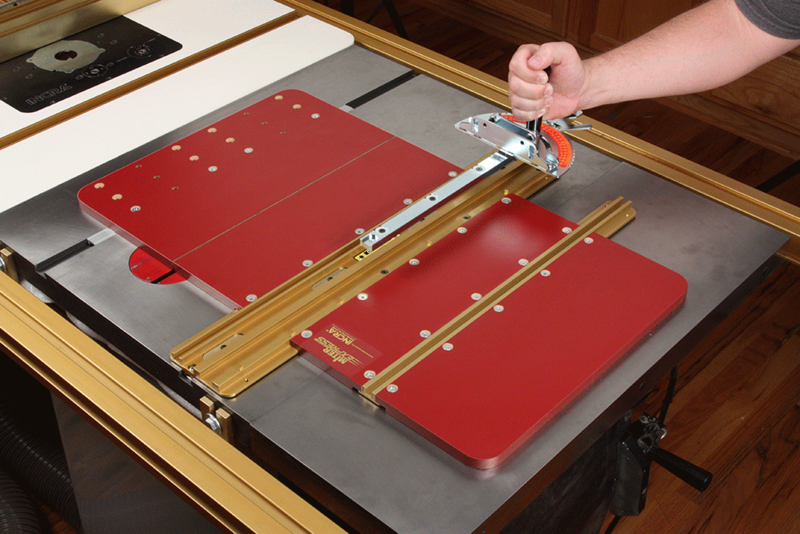 These slots are also invaluable for mounting your own custom Jigs and Fixtures. 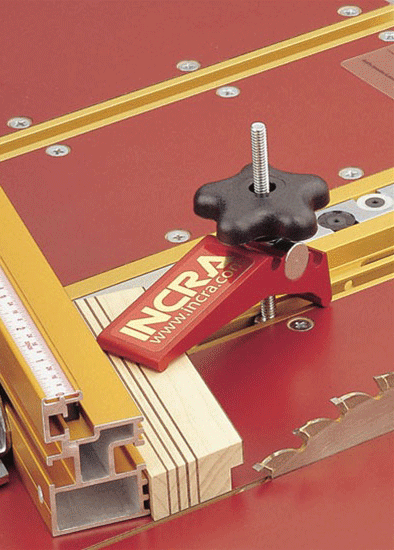 The fast "Dock and Lock" system securely locks your mitre gauge in just seconds. 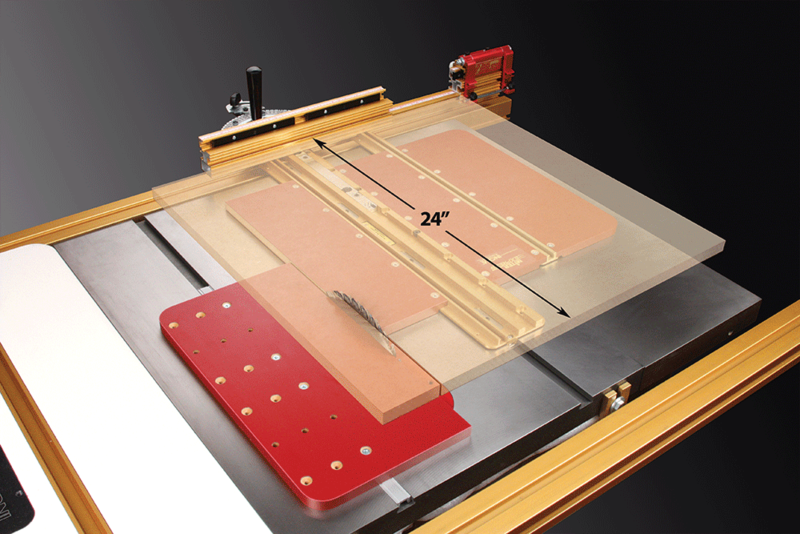 It eliminates all side play with our patented mitre channel expansion technology. Even the least expensive mitre gauges will experience a tremendous performance boost when docked on top of the Mitre Express. 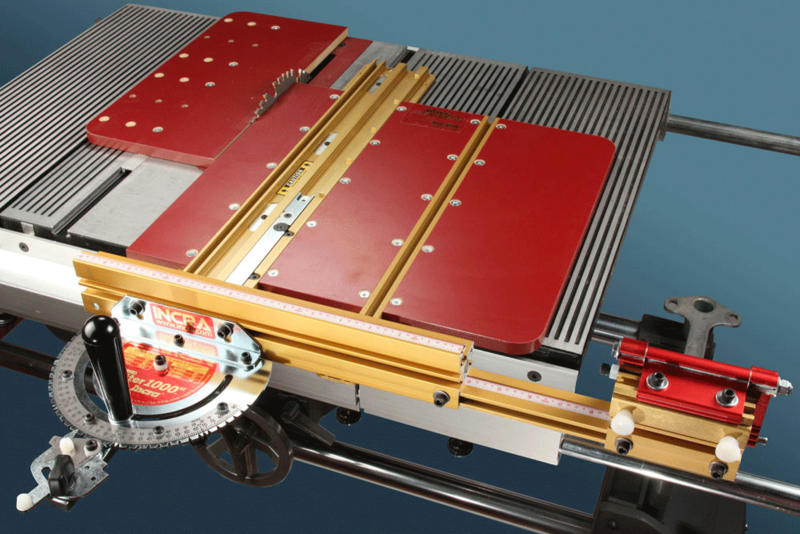 The crosscut capacity of any mitre gauge is safely doubled to more than 600mm when docked on top of the Mitre Express. For these extra-large crosscuts, the support provided by the sliding panel adds stability and control. The Hold Down Clamp also keeps your hands comfortably away from the blade when working with material that's too small to safely hold with your fingers. The Mitre Express also includes an Outboard Fence Support that locks behind your fence in one of the two T-Slots, providing even more rigidity for all operations.